Stoked to be on a bill again with these crazy cats!! "With our Debut Full Length Album release just around the corner, we want to tantalise your musical tastebuds with a sneaky showcase of songs from...Incantations for Strange Folk...Joining us are The Moonsets and The Quakers so be prepared for a musical journey through haunting dance grooves, progressive rock and all out debauchery of the gypsy punk flavour". 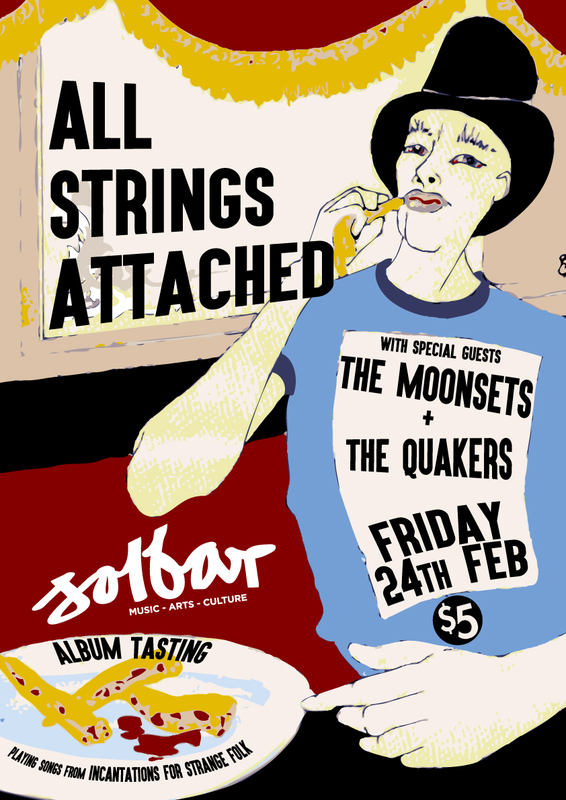 It's gonna be a solid and expansive night of glorious music hosted by Solbar all for five bucks! Tough to resist.